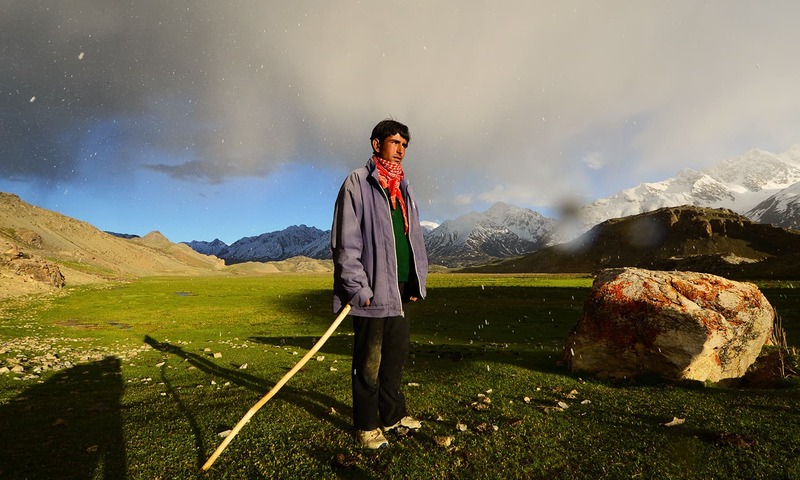 Trekking across this unusual region and photographing the faces and scenic landscapes was memorable and life-changing. 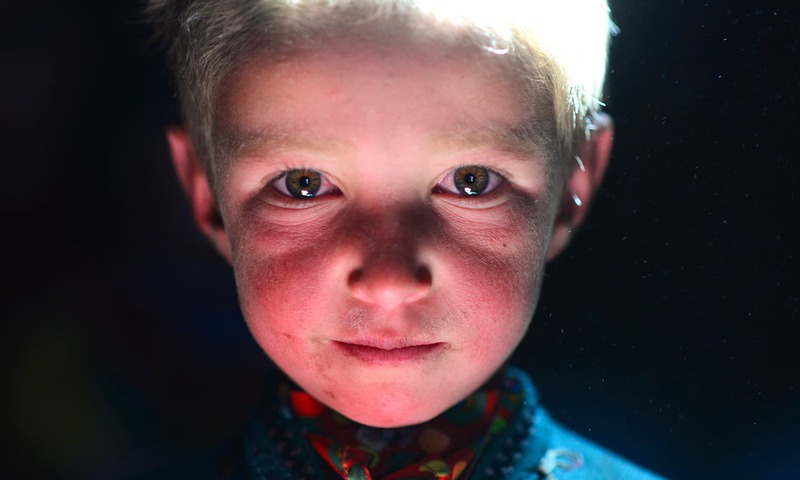 I distinctly remember the photograph I saw of a child in a stone hut in the Broghil valley, close to the Afghanistan-Pakistan border. She had the most striking eyes and was wearing a traditional dress that was gleaming underneath a beam of what seemed like a mystic light piercing through an opening above – a prominent feature of Pamiri houses. The image made it my dream to visit and photograph the place and its people. While researching, I came to learn that there was a British era trade corridor, called the Wakhan Corridor, which led to Broghil. The corridor borders Afghanistan and stretches through Pakistan, Tajikistan, and China. A fellow trekker and I made a plan to go discover this region. From lush green plains to gigantic lakes to snow capped passes, Broghil has some of the most unique and varied landscapes I have ever seen. Even the weather changes frequently from snowfall to dust storms. Most of the Pamiri houses today are modern and made with wood but in Broghil, they are made of mud and stone. All of this combined with the incredible hospitality of the locals meant that I fell in love with the place right away. 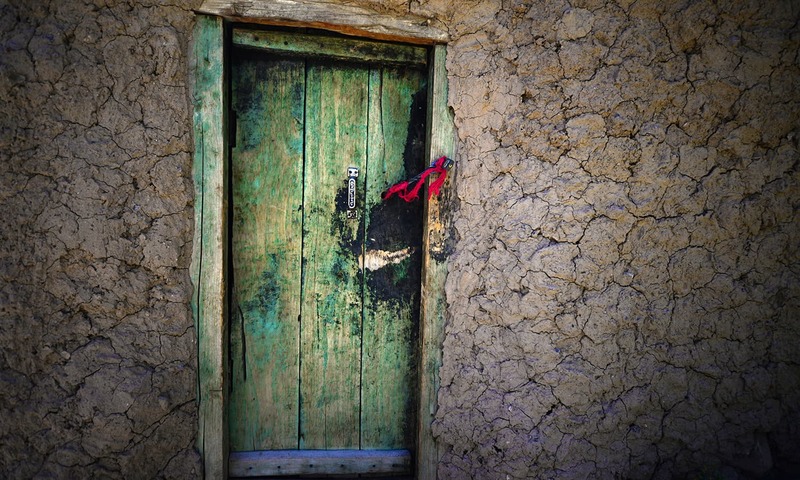 A door of a Pamiri house in Ishkarwaz. 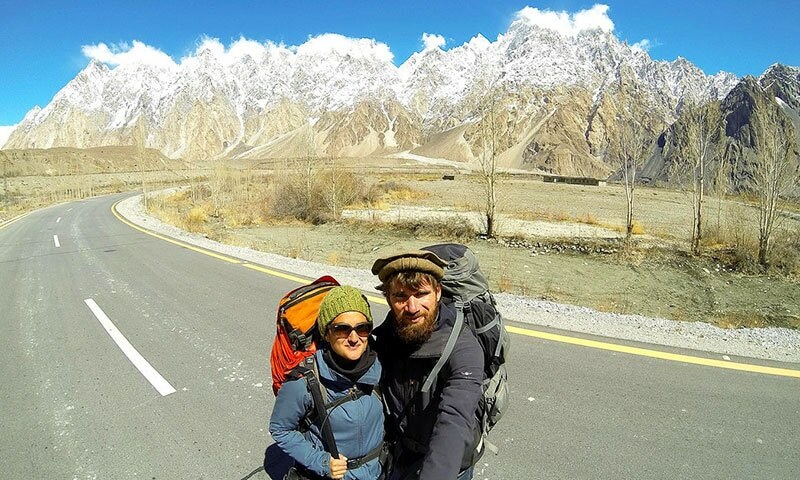 There are two ways to get there: you can either go from Khyber Pakhtunkhwa or from Gilgit-Baltistan. It is the same passage with two different entry points. 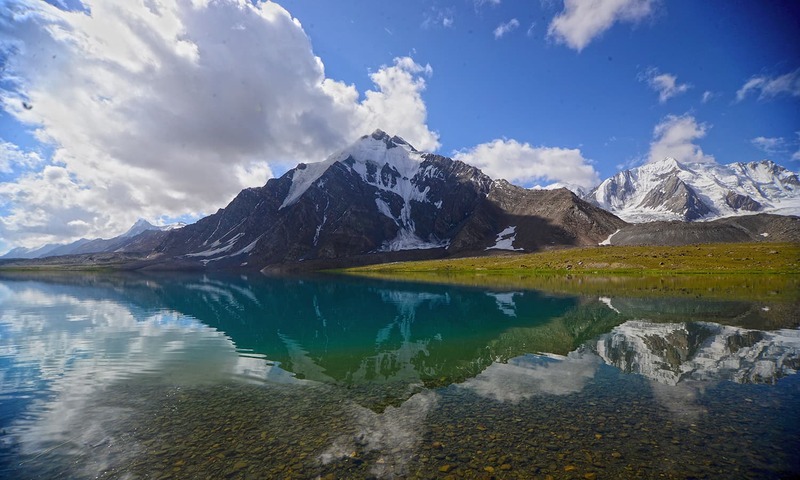 Most tourists trek from Ishkomun in Gilgit-Baltistan to visit the famous Karomber lake. Otherwise, the area remains largely unexplored. Accessing Broghil is no easy feat. We first attempted to go in 2014 from the Gilgit side; however, when we were on the way, there was a terrorist attack on the Karachi airport. As a retaliatory measure, there was an army operation in close proximity to where we were travelling. Out of concern for our safety, the locals of Immit village did not let us through, so we had to abort the plan and trek elsewhere. The wise, wrinkled face of Momo. 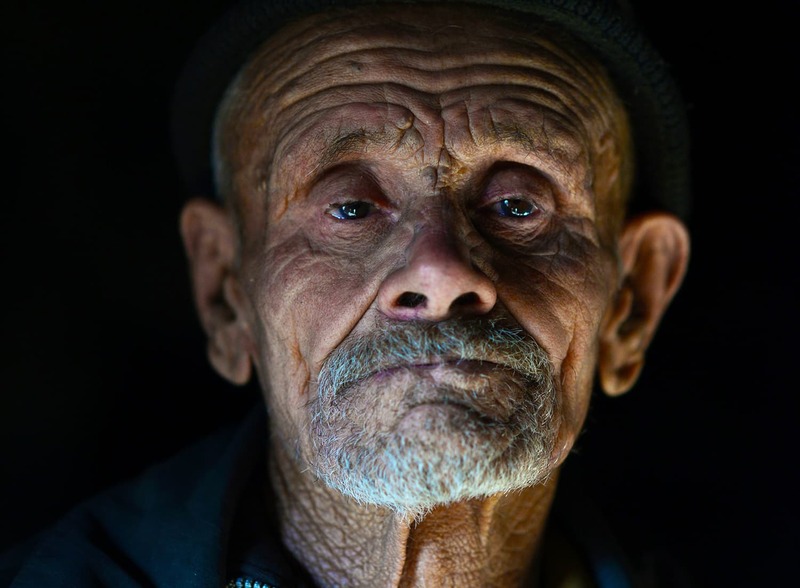 Nazar Mohammad, a local of Chikar village. A year later in June, 2015 we decided to try again. This time, we entered from Chitral and luck was on our side. From Chitral, we took a jeep to Mastuj and continued our journey to Ishkarwaz over an incredibly difficult terrain. It was a miracle that we actually reached Ishkarwaz. I was amazed how our driver was able to reverse the jeep downhill whenever it got stuck at a turn. The map on our phones showed that we were approaching a river. To our surprise, the driver kept going without stopping or slowing down, as though he was taking us into the water. At the last minute, he took a sharp turn onto the rugged mountains, which led to a narrow road that took us to Ishkarwaz. 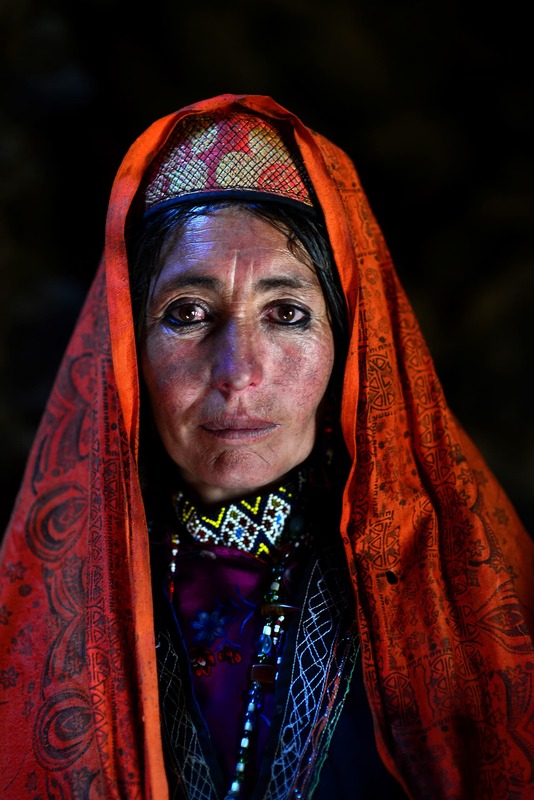 A local woman in Ishkarwaz. We started the actual trek in Ishkarwaz. Since it is a border area close to Afghanistan, military soldiers posted at the checkpost noted down our IDs and we were on our way – but not before we played a game of cricket with them! Our first destination was Karomber lake. 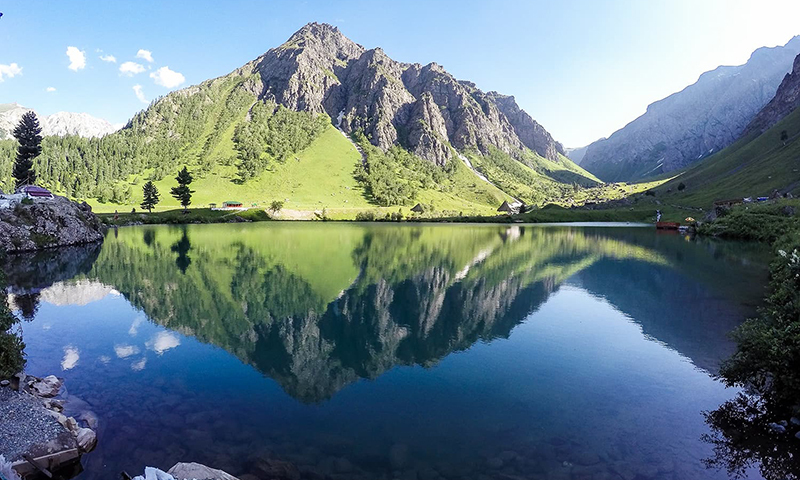 To get there, we first trekked from Ishkarwaz to Lashkargaz, where the Broghil valley officially begins. That whole stretch of land is majestic and extraordinarily beautiful, but it was particularly Lashkargaz that caught my eye. In the evening, half the sky would be dark blue while the other half would be golden. At night, I could see the Milky Way in its full glory and endless shooting stars. And there were so many expansive and clear lakes that it made me wonder if I had already reached Karomber lake! The trek would take up to six hours everyday, sometimes even ten, depending on our speed and weather. We were accompanied on our journey by local Wakhi men. Some were our guides, while others were porters to help us carry our equipment. 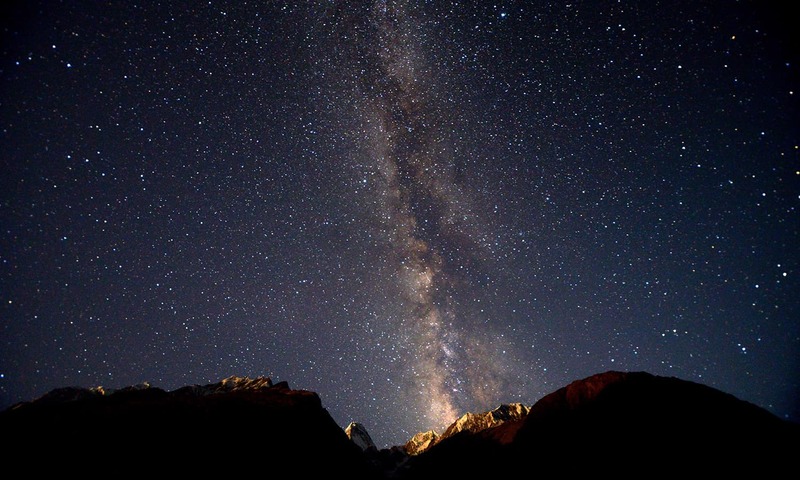 Milky Way rising over Kashmanja. I was accompanied by a local villager, Sultan. I told him that I wanted to photograph the men, women, and children of the area. He was enthusiastic and immediately agreed to act as my translator. 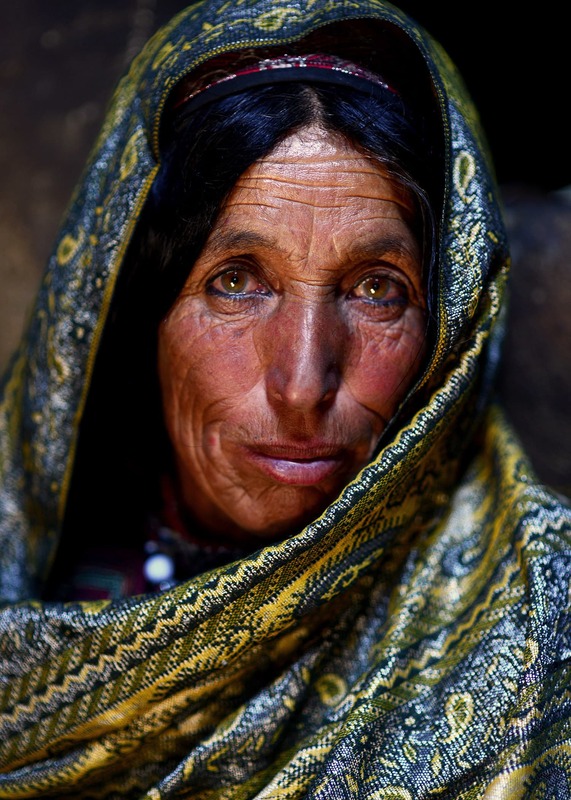 With Sultan’s help, I finally got the chance to interact and bond with the Wakhi community and take portraits. After camping at Lashkargaz, we continued on to Karomber lake. But because of snowfall and strong winds coming from Afghanistan, we had to set up camp halfway. We called it Karomber high camp. The next morning, we woke up to see our tents covered in snow. 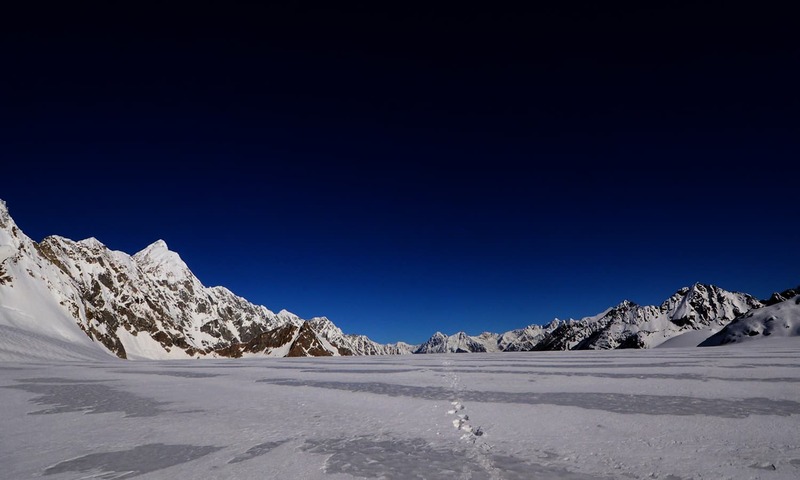 When we reached Karomber Lake, we realised that we had gone too early in the season – the lake was frozen. But it was still an incredible sight! As is traditional with teams when they reach their destination, a call to prayer was recited and the national anthem was sung. We stayed for half an hour and then trekked back to Lashkargaz, where I made the most of my time by doing more photography. 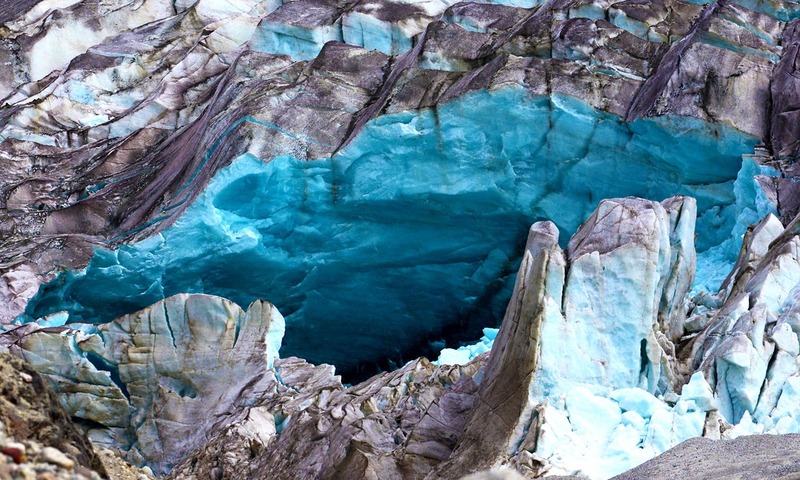 This was how the Karomber lake looked when it was frozen. The next day, we trekked back to Ishkarwaz, where we rested for an hour, before going on to the last leg of our tour to the Darkot pass. On the way, we stayed overnight in Chikar village. 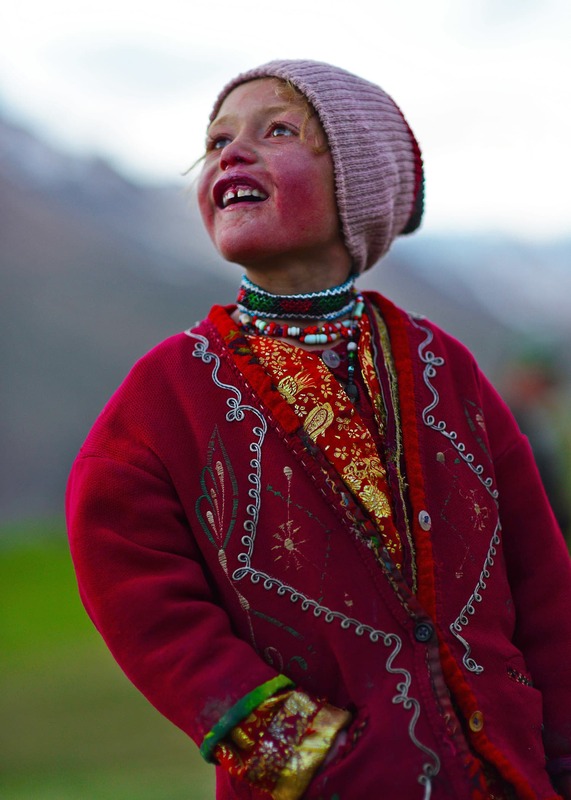 While setting up camp, a little girl with blonde hair wearing a traditional Wakhi dress kept following me everywhere. Her name was Shabnam. Since we did not have to leave until noon the next day, I slept in for most of the morning. I was woken up by someone knocking on my tent. I got up and looked out: it was Shabnam. She did not say anything, but pointed to a large field where a group of people were present and motioned me to follow her. Once we reached, I saw four of our team members playing football with the locals – a strong 11 against four very tired men. I was very sore from all the walking, but they insisted I take the centre-forward position. We lost miserably. I had fallen in love with Chikar and it was an emotional farewell when we left around noon. Shabnam and I became attached during the little time I spent at her village. Very soon, we could see the Darkot pass at a distance. We huddled together and discussed how far we could go. The idea was to get as close to the pass as possible. When we reached, we set up camp on a small, rocky patch. Everything else was covered in ice. Water was the biggest issue at this time. The place where we were was barren and there was no water except for a waterfall very high up and nearly impossible to reach, and a melting glacier which was miles below us. Snow ridges in Darkot Pass. One of our porters volunteered to make the perilous climb down to the glacier with a container to fill it up with water. However, he slipped on the first step, but was thankfully saved as he grabbed a ledge and was roped back up by our team. The container slipped and broke. Another team member Abdul was an experienced climber and mountaineer. Without saying a word, he took another container, tied a rope around it, and climbed a steep path to reach the waterfall. He filled up the container and rolled it down to the camp, using the rope to break its fall. Clearly, he had nerves of steel as a task like this would have taken anyone else hours! We slept after dinner at sundown so that we would be ready to make the final trek through the deadly Darkot pass. The Darkot pass was as unfriendly as it looked, but the sky above was majestic. We woke up and ate breakfast at 2:30am and left by 3am in order to avoid the harsh sun and the melting snow. We were all roped together so that we don’t fall into crevices. 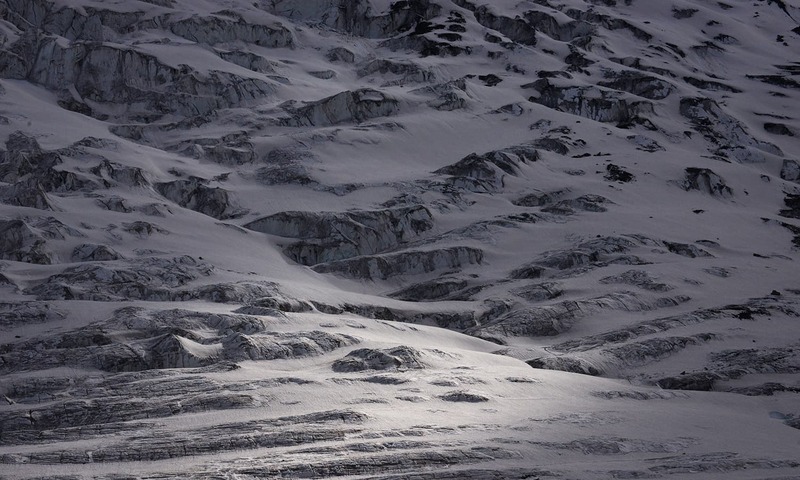 The ascent to the pass was difficult because of the lack of oxygen and slippery snow. By the time the sun had risen, the snow was reflecting the sunlight onto our faces and burning our eyes. One by one, all of us reached the pass. As we looked down, we could make out the lush green of the Darkot village, but we were so high up that it seemed like we were looking at it from a satellite. We could even see clouds far down below under us. A storm struck as we were passing Lashkargaz. The descent was a near-impossible task. It was an 85-degree decline, full of melting snow and loose rocks. One wrong step would cause a rock to fall on the person below you. Slip, you fall into a crevice. After eight hours, we all made it back. We regrouped, caught our breath, and counted our blessings for having come back in one piece. We camped for one more night at Darkot village and grabbed a bus back from there the next morning to Gilgit. My team and I trekked through this region for almost 10 days. We were so awestruck that we decided to revisit the next summer, from the end of July, 2016 till the first week of August. We went later in the season this time since we wanted to see the Karomber lake in its unfrozen form. 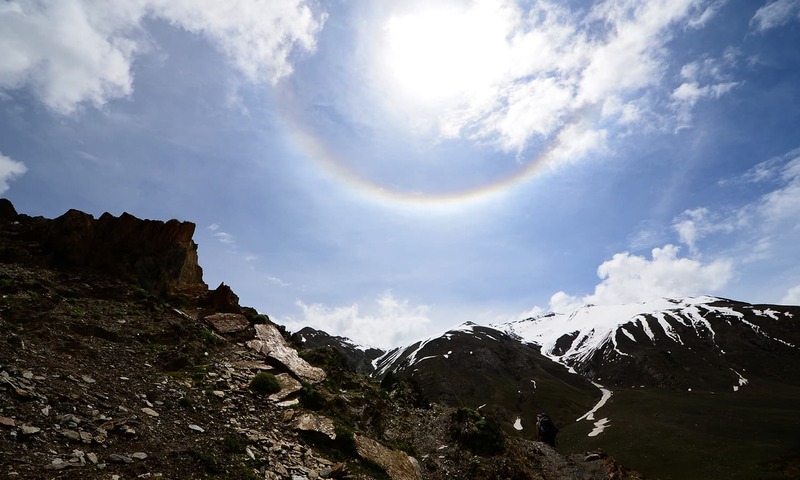 Trekking towards our second camp in Lashkargaz, I saw a rainbow circling the sun - something which was visible almost the entire day. Visiting for the second time was even more fruitful as some locals recognised me from my previous trip. I had prints of the portraits I had taken of them during my last visit. I had also learnt a little bit of Wakhi, which allowed me to communicate better. Their hospitality is such that if you pass a village during a trek, you would be stopped and given salted tea, dildongi (flatbread) and dral (sweet dish similar to pancake). The route we took was a little different this time as there was a lot of landsliding on the way, making the main road to Ishkarwaz inaccessible. Our coaster dropped us at Kashmanja, which is about five hours away from Ishkarwaz. 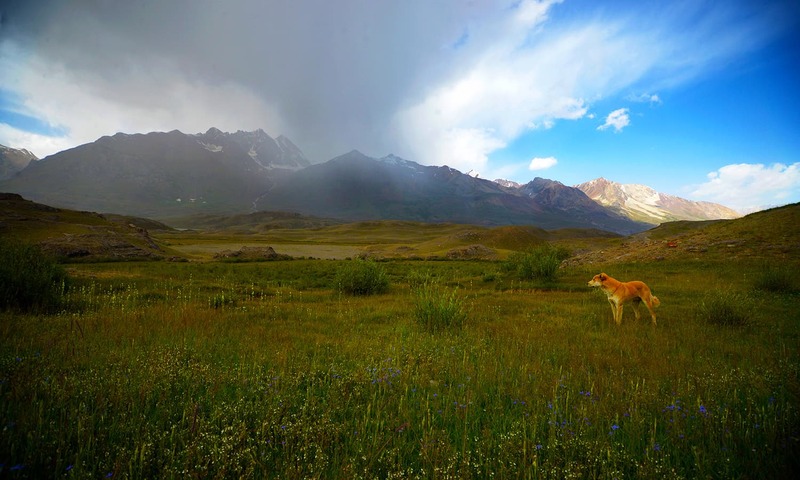 A dog accompanied me while I was trekking to Lashkargaz from Kashmanja. Since we were behind by one day, we had to expedite our trek by making less stops and without setting up camp on the way to Karomber lake. Something happened the night we reached the lake that I could never have imagined in my wildest dreams. It took me 12 long hours to trek to the lake. Everyone else was already very far ahead or had reached. I was moving slower than usual, since I was feeling sick after drinking water from an unhygienic stream. My friend Zafar alongside me was not feeling well that day either. To add to this, I was carrying extra weight in a bag that did not have waist support. I had to stop and rest every few minutes. I was so behind that night had already fallen, the temperature had dropped, and strong winds had started. The porter who was carrying my warm clothes had already reached the destination, which was still a few hours away. I only had a full-sleeve shirt and a raincoat to keep me warm, which obviously was not enough. Then suddenly, my torch stopped working. Zafar had also gone out of my sight. Everything was a recipe for disaster! Just when I felt things couldn’t get any worse, it started raining. There were hardly any trees on this path, which meant no shelter. My breath started growing shorter and I went into a cycle of unconscious – falling, coming round, getting up, and continuing my trek. The true beauty of Karomber lake. The cycle continued for hours and seemed like an eternity to me. My entire life flashed before my eyes and a part of me told me it may be my time. I found a large rock and, with great difficulty, snuggled next to it, covered myself with my raincoat, and prayed. I was going to either die, or be rescued if I were lucky. I closed my eyes but after a few minutes, I opened my eyes and I got up immediately. It felt as if my body was doing this all by itself and I had no control over it. Before I knew it, I started running in the dark, jumping over streams and sharp rocks and not slipping even once. There was a voice inside my head that kept telling me to keep going. It felt like somebody was carrying me. I eventually ran into another person who was also trying to find his way. It turned out to be Zafar. We stuck to each other to keep warm and prayed for our lives. The voice inside me told me to keep looking south. After a few minutes, a torch frantically shone from the same direction. It was Zeeshan, one of the climbers. He ran to us and rescued us. It was a moment that I will never forget. The photo I was waiting to take all this time. I did not see the lake until the next morning. As expected, it had fortunately thawed, so we got to witness it in its most majestic form. It looked so infinite in size and reflected so many colours. Truly, journeying across this region was nothing short of epic (given its history and that Genghis Khan is said to have set foot on the same route) and life changing. Similar to our route the year before, we passed through the Chikar village and I met everyone again. They were happy to see the prints of their photos and were incredibly hospitable as always. This time, I took the liberty of going into one of their houses. Inside, I saw a child with mystic light shining on her through an opening in the roof. It was a similar image that had inspired me to explore this area in the first place. I could never tire of taking such portraits. 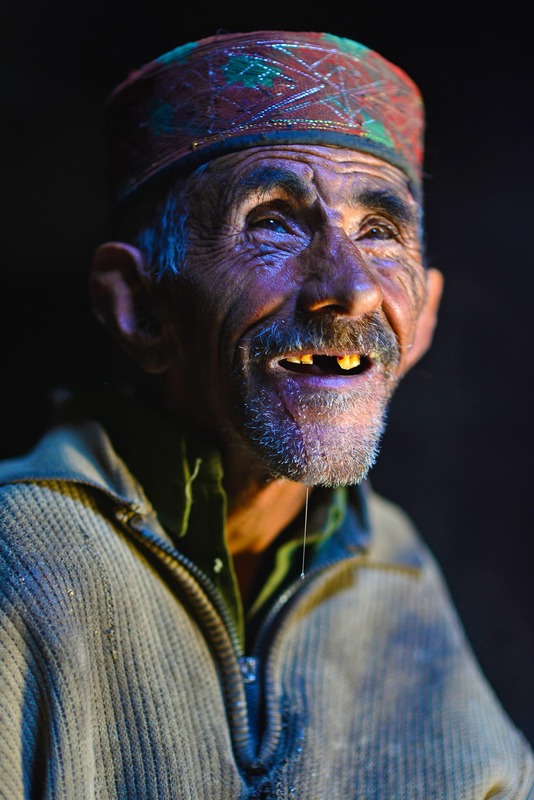 Mohammad Jan, father of one of our porters who joined us in Darkot pass expedition. 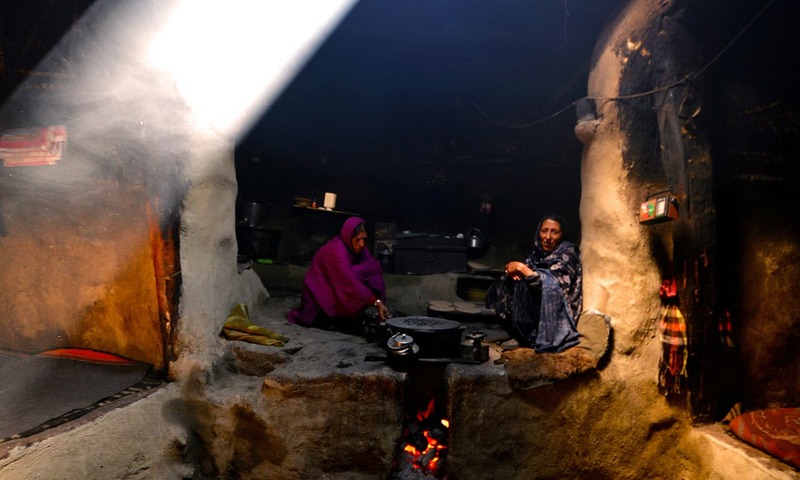 Local women talking inside a Pamiri house in Lashkargaz. 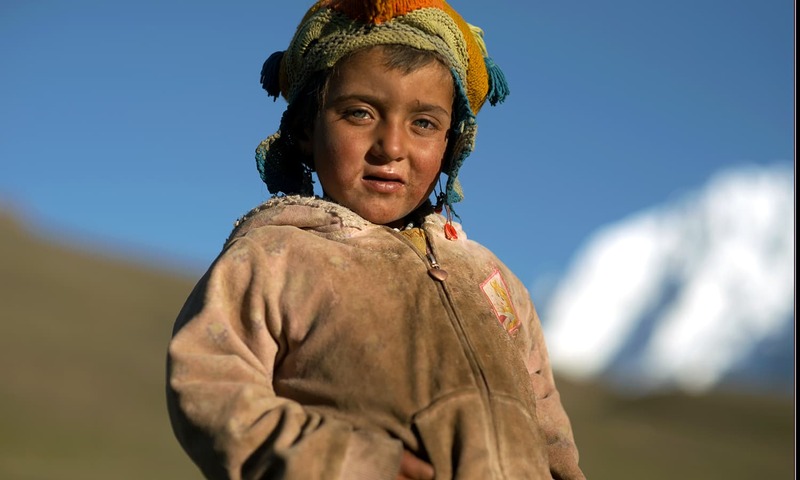 A child I saw in Chikar. A house on the marshes in Lashkargaz. 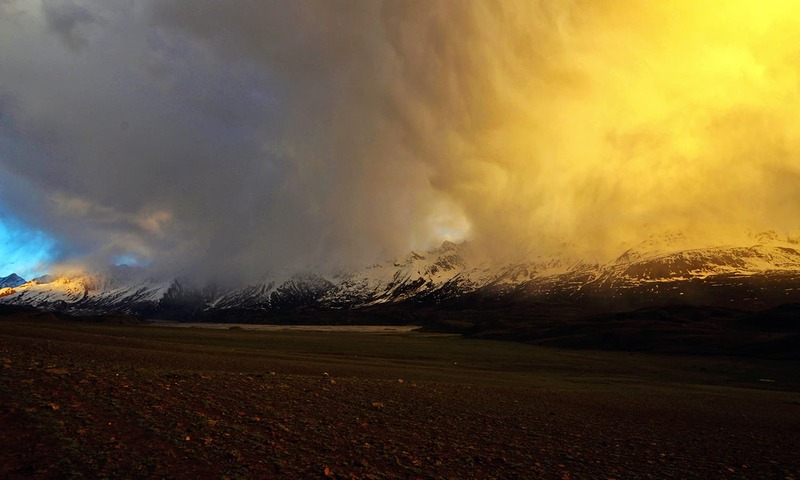 A beautiful, multi-coloured storm on our left as we trekked back to Lashkargaz. It was hailing, raining and sunny at the same time. All photos and video by the author. 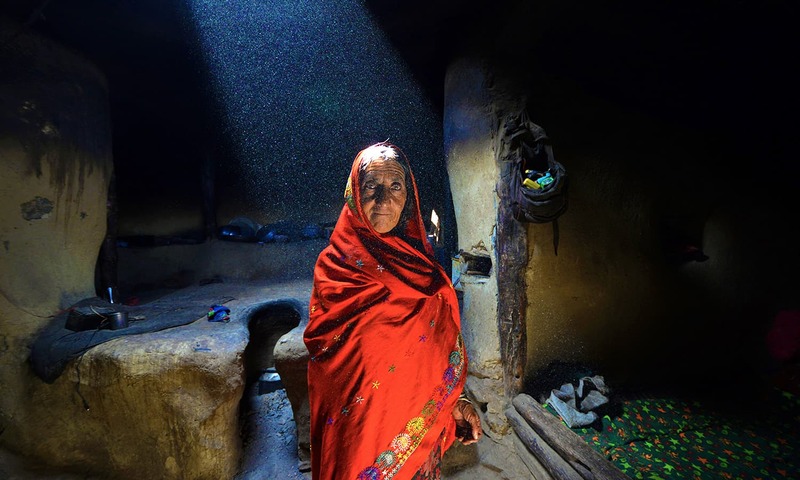 Mobeen Ansari is a photojournalist, painter and sculptor based in Islamabad, Pakistan. A graduate of National College of Arts in Rawalpindi, his mission is to promote a positive and often unseen side of Pakistan through his photographs. Waooo!!!!! Being a local of GB, I have never beheld such beauty. No matter how much we like the photographs, for their colors, beauty and impact, we all know deep down that the visible poverty of the people is not romantic. The fact is that the people of Broghil are a symbol of neglect. They have been left at the mercy of the elements of nature. They use opium to cure their ailments, because they don't have access to hospitals. The state needs to own these people and resolve their issues. Simply marvellous. Most beautiful photos and a remarkable journey. Kudos! The photos and the accompanying story, both are spell-binding. Your daredevilry has produced a fantastic result. Wish to see more of your photo albums. How beautiful is my Country. Wish India & Pakistan were friends & I was able to see such beautiful places. Kudos man such awesome photography, capturing raw nature at its best. What a write-up. Vicariously transported to that zone the writer was in when on the trek. Good discovery with an evidence of poor rule of law and no access to justice to the people of the land as the equal gender with equal rights and respect in the society. It was very interesting to read your journey blog. 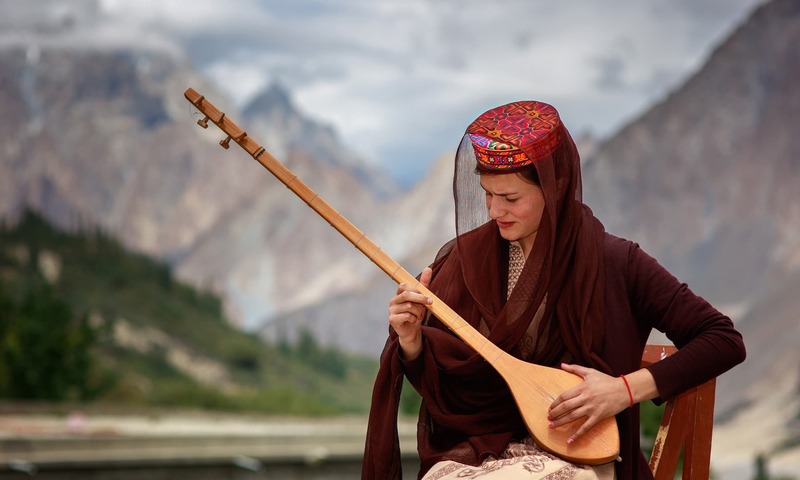 thanks for sharing such a beautiful Pakistan Image. Dear Mobeen, You have shared your heart out. Congrats for picturing Pakistan, the most beautiful place on earth. And let us feel the beauty of Pakistan. May each and every Pakistan visit these astonishing places on earth. Great effort and photo graphy. SubhanAllah! bro can you let me know if it's possible for non local to go and live there? Simply amazing.Having served in Baltistan fort three years as a young man back in the 70s, I can very well relate to the trek and exhilarating experience. Thank you for a wonderful blog and excellent photography. Lived in baltistan for 21 years it's so cold and this beauty is attached to that cold. @Ghulam Murtaza Was it wrong? At high altitudes one can suffer from cerebral edema and have hallucinations. The author could have been through such a phase when he found 'the mystic light'. Otherwise out of the poetry trance, the people of Boroghul are deprived of basic human rights/facilities. They exist with the help of opium. When will government of Pakistan start looking after these miserable soles who are on the mercy of harsh weather climate! Wrinkles on the faces before the age and very obvious malnutrition are telling you a lot in their silence. Well done Mr Ansari, please keep exploring the unexplored. @Noor Absolutely! What a shameful negligence on part of the state and governmental authorities. This is criminal shirking of responsibility. Pakistan must assume and fulfill its responsibility and do whatever it takes to ensure that living conditions are improved for our these fellow citizens. you people should visit Boroghul between june and july at this time York polo tournament also organized bewteen Chitral and Boroghul teams along with other traditional games. This place is really beautiful but people are lacking the basic facilities of life, the government should need to give some attention to these people. 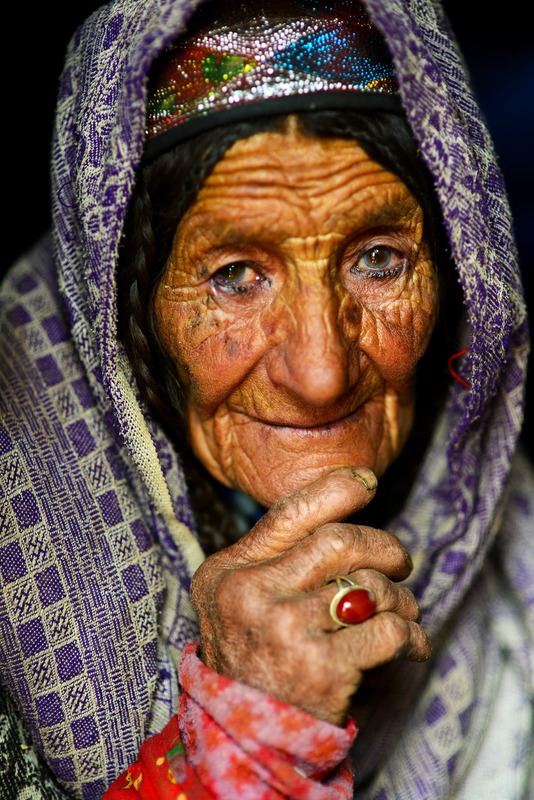 Simply wonderful Mobeen, great photographs. You would be pleased to know that Chikar village will be having safe drinking water system in the coming summer (2017). Similar plans underway for Garam Chashma, Chilmarabad, Garel and Lashkargaz. Come next you will not have intestinal problems at least. Shabash Mobeen ! Fantastic work and thank you for showing the world and us Pakistanis that what a wonderful country we have . We need to continue to explore these parts and see how we can collectively help change their lives with access to proper health , education and sustainable livelihood. Good luck and all the best . Outstanding picture of sky. How did you do? Please share how should I take picture of astral bodies with Nikon DSLR 3200 or higher end. Mobeen Ansari you have great talent for Photography. Pictures taken by you are totally mesmerising. Thank you so very much for this. 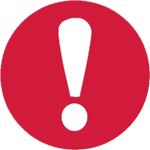 Please continue to share more of your experiences - it is utterly worth it! The writer is an adventurous like as soldier. Trekking in GB on high altitudes req a great courage and endurance. His article unveals the beauty of Pakistan un-discovered yet. @Noor If the environment has not been harmed, the people there must be having access to herbs that can treat most of their problems. Of course they need doctors for more serious complaints, especially those that need surgery. One of the very best photography and essay I have come across. What of beauty, really amazing. excellent pictures and account. Reminded me of our trek from Ishkarvaz-lashkargaz-Karombar lake and then onward towards Gilgit side up to bud swat I believe back in 2011. Sadly becasue of a severe headache I missed the side trek to Baroghil Pass. Fantastic awesome beautiful!!! Pakistan Zindabad! Simply Marvellous rendition of an area which is truly termed "God's own country" - went there in the summer on a heli and have some breathtaking videos and memories of the place. 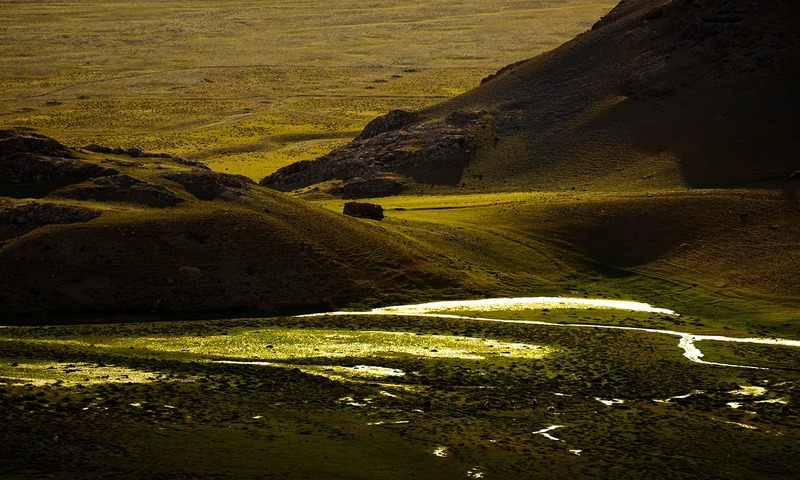 I would like to get in touch with you as am overseeing the management plan for the Baroghil National Park and need passionate souls like you to support a proper preservation plan for this unique natural treasure. @Noor Thankfully the state doesn't 'own' these people yet. Look at the things that the state does own to realize the destruction it causes. They may be poor but so what? The socialist mindset of owning even people and resources by the state is so outdated and destroyed USSR, Cuba, Venzuela, N Korea, E Germany and the list goes on. @Noor this is true. this will need to be addressed. who is the MNA in that region? did just I see come from heaven? Amazing!! So raw and divine. You must be the Rembrandt of photography today! Thank you so much for sharing another part of our beautiful Pakistan. Best pace on earth. Yet neglected by our Govt. They deserve much better. Corruption eats away every thing. The account of your arduous journey are simply fantastic in a sense that you have mentioned in it the discovery of mystic light. What I want to say is the fact that the region you have explored is a blend of unbelievable natural beauty and spiritual motifs. A true realization of a spiritual enlightenment still shines in the hearts of the indigenous people of that region forcing us to contemplate about their glorious past mystical heritage (e.g. personalities like Pir Nasir Khasraw, Baba Qundi and lot more), the rays of hope in their eyes about the future challenges and last but not least the smiles on their faces free of any hypocrisy in the time of the tribulations of the world. Next time you have to make a trip to Chitral via Mushibar pass going once again through Ghizer Valley. After reaching the destination of Barandass, a resting place of a great mystic, you would be able to feel that mystical light once again before setting upon trekking through Thoi, a village in Yasin. 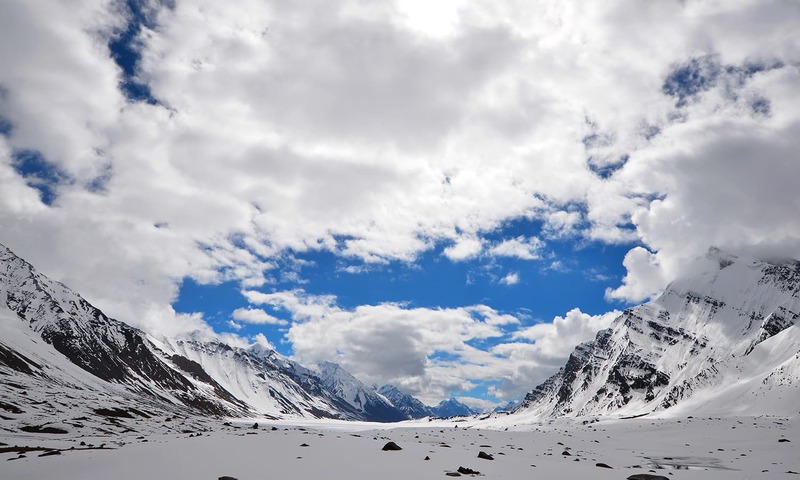 @fardad High altitude pulmonary edema occurs at altitudes of over 14,000 feet. Brighton valley is not that high. It was really nice to read this...totally mesmerizing and I have copied some photos for my own reference. If everyone visits these places then these places will get spoiled. 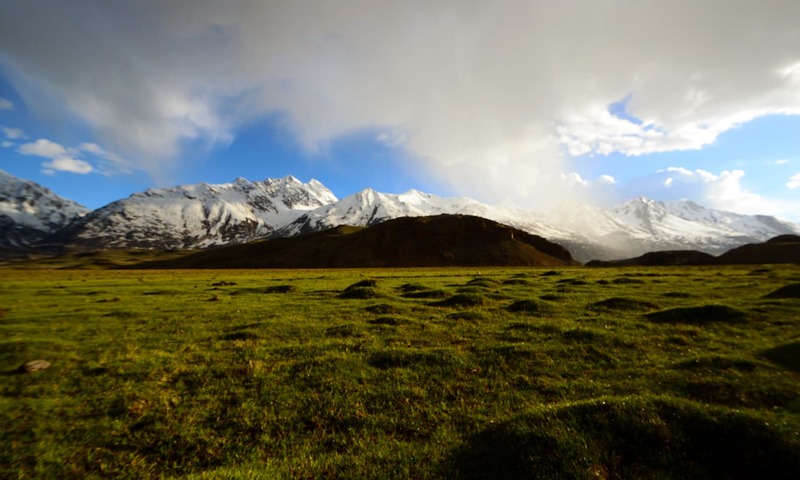 These places should be left alone for trekkers. Great Sight. The unseen of Broghil valley. Great work done by Ansari; thanks for showing the unseen Pakistan. The pictures however, speaks thousand words not only showing the beauty of the unseen valley but also the poverty, sufferings and neglect visible from the face of the innocent and beautiful people!